Looking for something special and unique to entertain guests at your wedding reception or whilst you are having your photographs taken? Give your guests an experience so special that they will remember and talk about it for years to come. Organising your wedding is such an exciting process, but it can also be a very stressful one. You want your wedding to be extra special, personal and standout from all the rest. Worried about what your guests will be doing while you have your photos taken? Want to give them an extra unique experience at the reception? 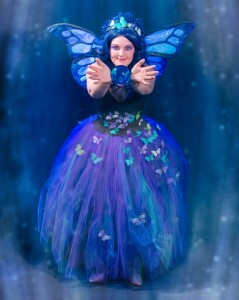 Or even add that WOW factor with something outstandingly extraordinary and magical to meet and greet them as they arrive? Amy Amelia and her crystals never fail to captivate, amaze and thrill, leaving guests with a magical and memorable experience. The Fairies are always a crowd pleaser for weddings…..The Woodland Fairy for a Spring/Summertime feel….The Winter Fairy for an ice/winter wonderland theme or The Magical Butterfly for a big splash of colour like something from Alice in Wonderland! Or see the Gallery of Themes and Costumes for more ideas! 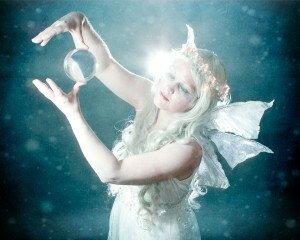 From meet and greet, mixing and mingling among your guests or even bring the power and skill of illusion to your table with a stunning crystal ball performance. Make your perfect fairytale wedding day one you or your wedding guests will never forget.